The Timeless Solitaire Ring, Always Everlasting. The Cathedral Style Leads Your Eye to The Main Stone While Also Providing Stenght and Protection. 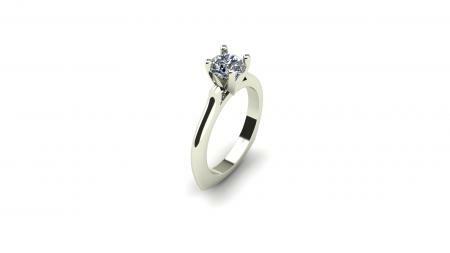 The European Shank Keeps the Ring Centered on Your Finger and Provides Comfort.